The Seawolf Debate Program, housed in the Department of Communication and Discourse Studies at the University of Alaska Anchorage, is a co-curricular program dedicated to promoting public discourse for UAA students and its larger Alaskan community. The University of Alaska Anchorage Seawolf Debate Program was founded in 1972 as the Anchorage Community College Speech and Debate Team. 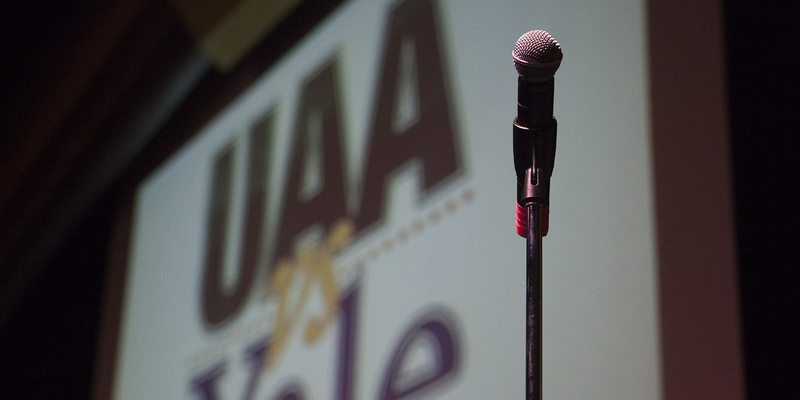 Since its founding, the team has gained regional, national and international acclaim while representing the University of Alaska in competitive speaking tournaments. In the last few years, the Seawolf Debate program broke three teams at the Worlds Debating Championships, saw three semifinalist and one finalist team at the US Universities Debating Championships, and climbed in the official World Debate Council’s ranking to the 9th most competitive program in the world based on its cumulative success at the last five World Universities Debating Championships.